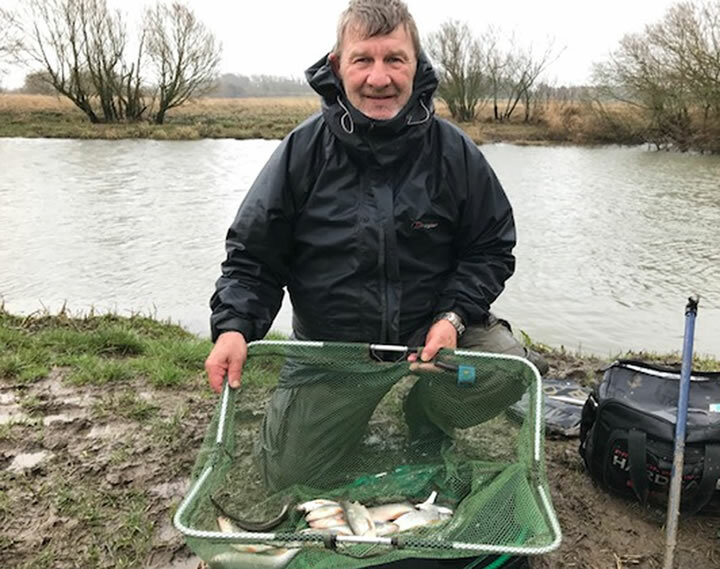 The 5th and final leg of the Kirkby Bott Trophy was fished on a very windy and occasionally wet River Arun at Watersfield. 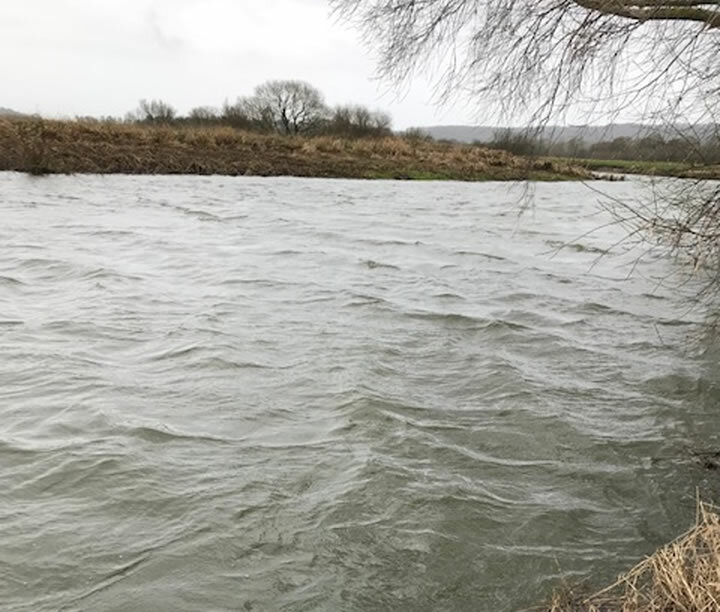 Originally there was a full house of anglers but with severe weather warnings this dropped down to three hardy anglers on the day. These met with very difficult conditions only Steve Simmonds in the Mint Swim being able to float fish as the wind was on his back. The match was cut short by an hour to avoid the worse of the weather and only two anglers managed to last the full length of the match. Steve Simmonds, in the Mint Swim float and feeder fished to catch some good sized roach weighing 3-7-0 and win the match. Mick Greenway was fishing the swim immediately above the trees and had the wind blowing straight at him making it impossible to float fish. He feeder fished and caught 8 fish – roach, dace and a bream of approximately 2.5lb. These weighed 3-1-0 in total. After 38 matches Mick Greenway leads the Clubman (148 points) from Vince Herringshaw and Steve Simmonds (both 139 points), Matchman (1521) from Vince Herringshaw (1178) and the Aggregate Weight (343-10-4) from Paul Ward (277-6-0).